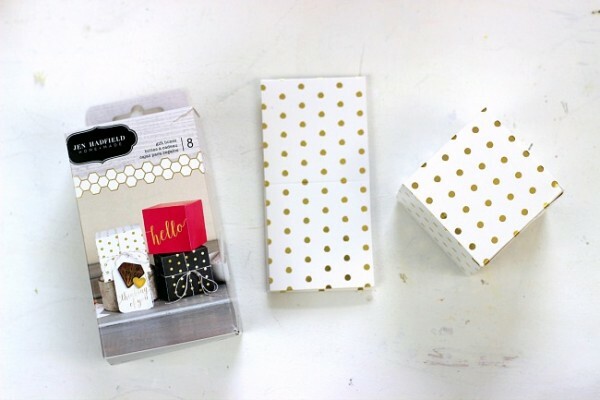 February 2016 - Pebbles, Inc.
Hello there, Amy from The Happy Scraps here today. 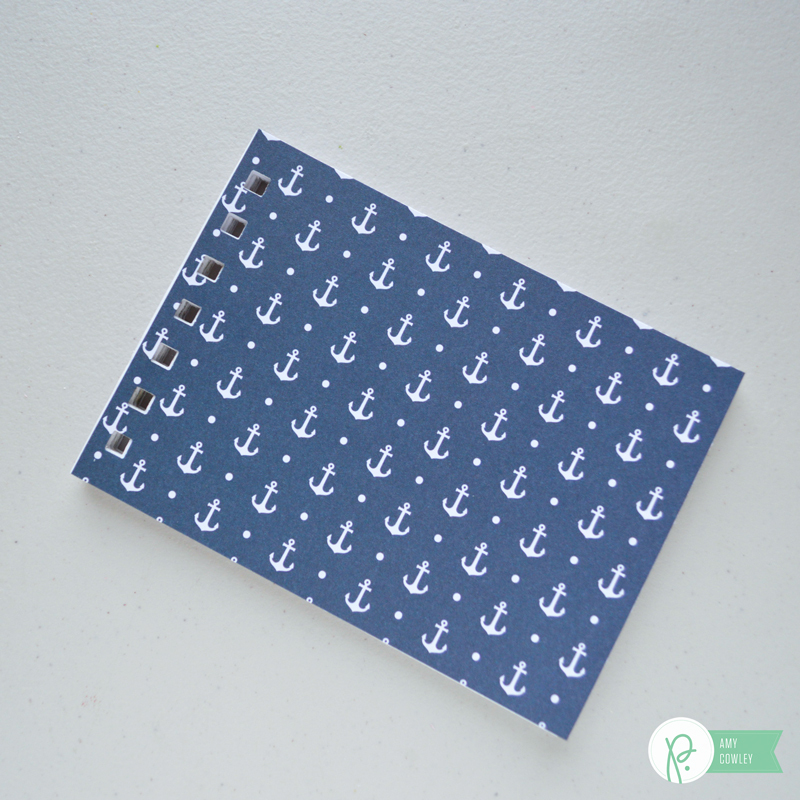 I’m excited to show you how to make these cute little Mini Notebooks. 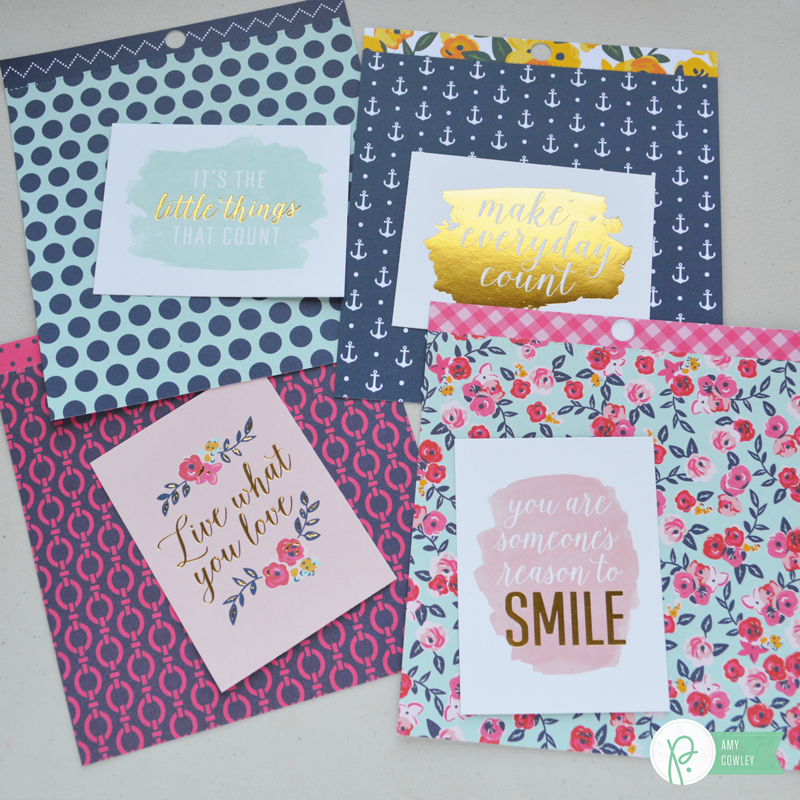 They are the perfect thing to throw in your purse or a tote, making sure that you have something to write on if you need it. 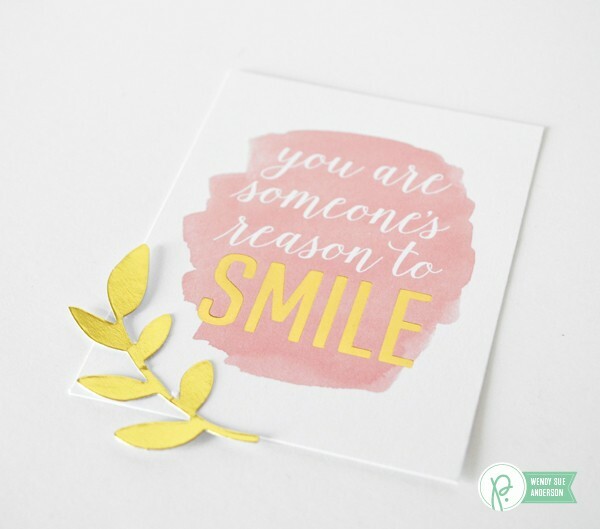 They would also make a great gift to give to a friend, and they are so quick to make! I picked out a few supplies from the Jen Hadfield Everyday collection and grabbed my Cinch as well. 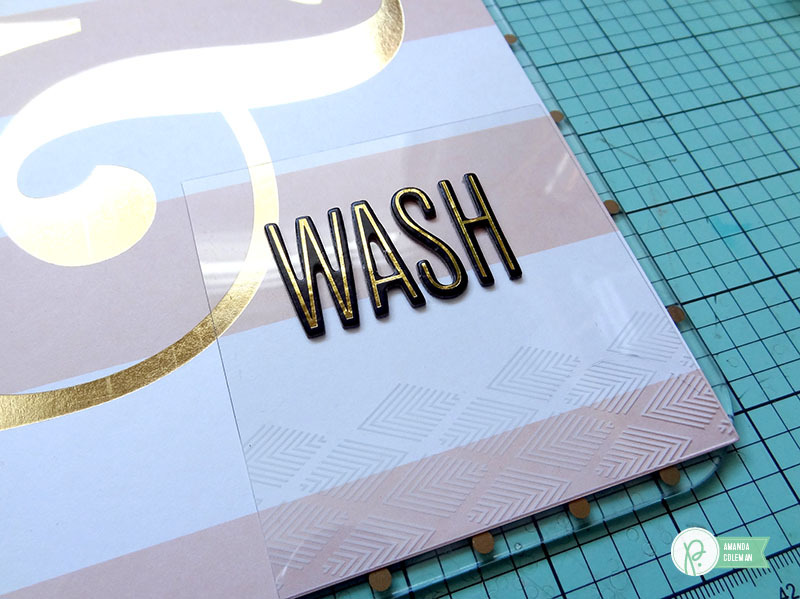 Using the Everyday collection 6×6 paper pad, I picked out the paper that I thought went well with the cards I cut out from the cut-outs with gold foil cardstock. I trimmed the cardstock down to 5 1/2″ x 4″ for the horizontal books and 5″ x 4 1/4″ for the vertical books, and then I cut a stack of white printer paper to be the same size. I also cut a piece of white cardstock to go on the back of the book. Using the Cinch, I punched my holes. I cut the wire binding to the size I needed, and put my paper on the wire. Then I used the back of the cinch to close the binding. I attached my foiled cards to the front of the books. I wanted to use dimensional adhesive, but since I made these to be used in purses, I thought it would be better if they were flat. I added some colored twine and the arrow to the bottom of the one on the far right to finish these up. 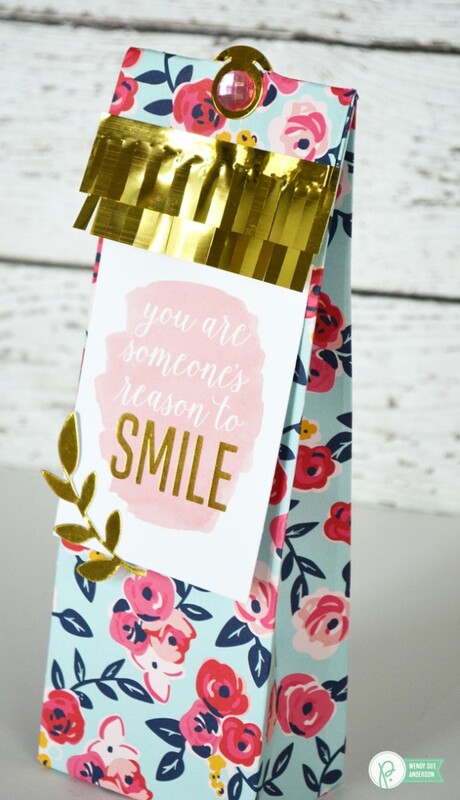 I can’t wait to have one of these in my purse, it will be sure to brighten my day, any time I need to write something down. Aren’t these Everyday collection cards perfect for these books? Hello! Amanda here today. 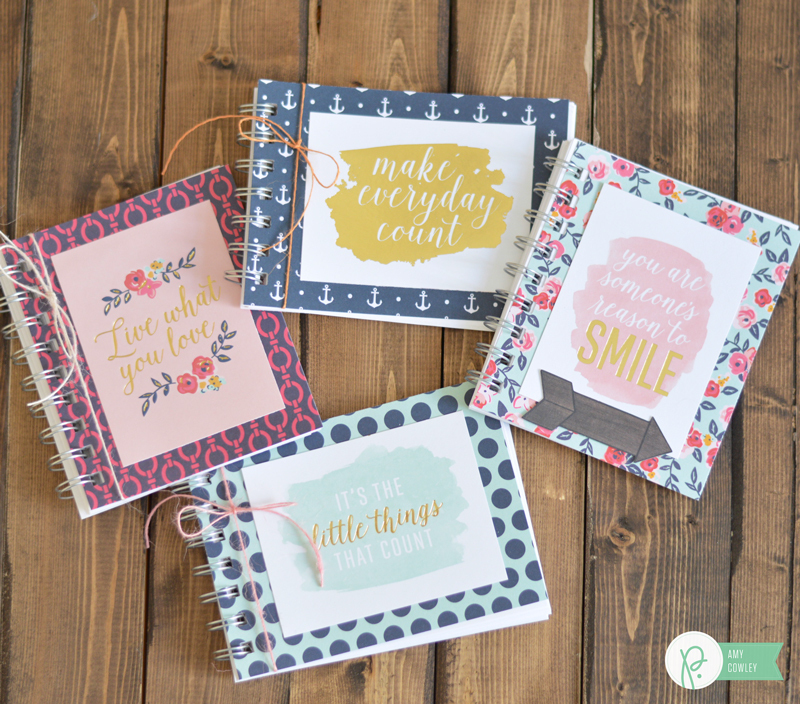 This week is favorite phrases week here on the Pebbles blog. 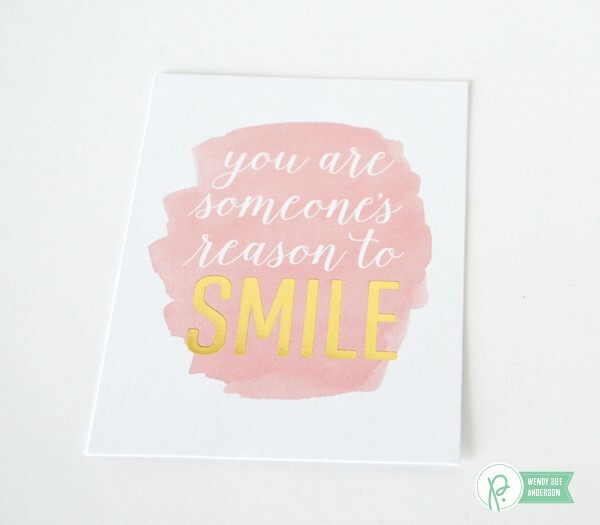 The phrase I chose may not be inspirational or the feel-good quote of the year, but it is practical and quite often used around our home. If you live with children (or even grown men), you find yourself repeating this phrase quite often. 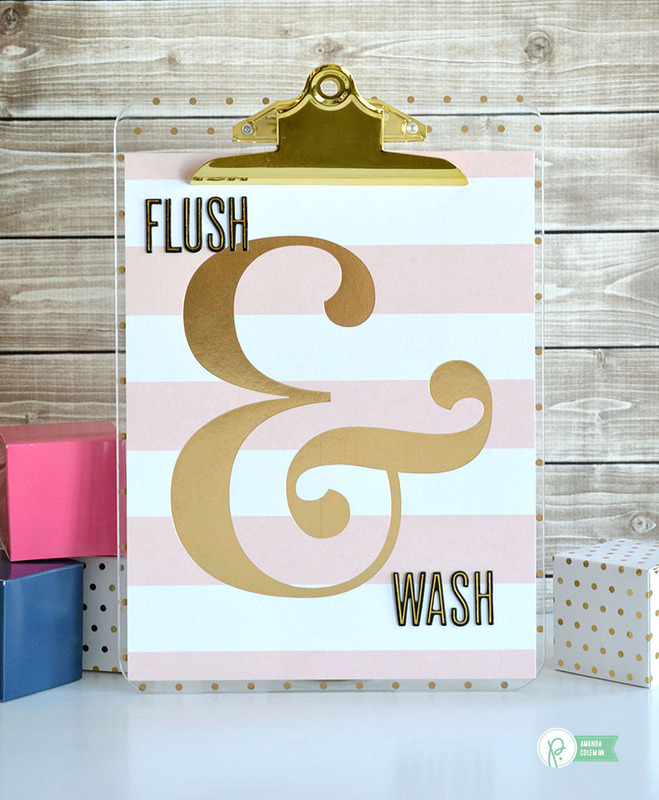 “Flush and wash!”, you shout as your child exits the bathroom. 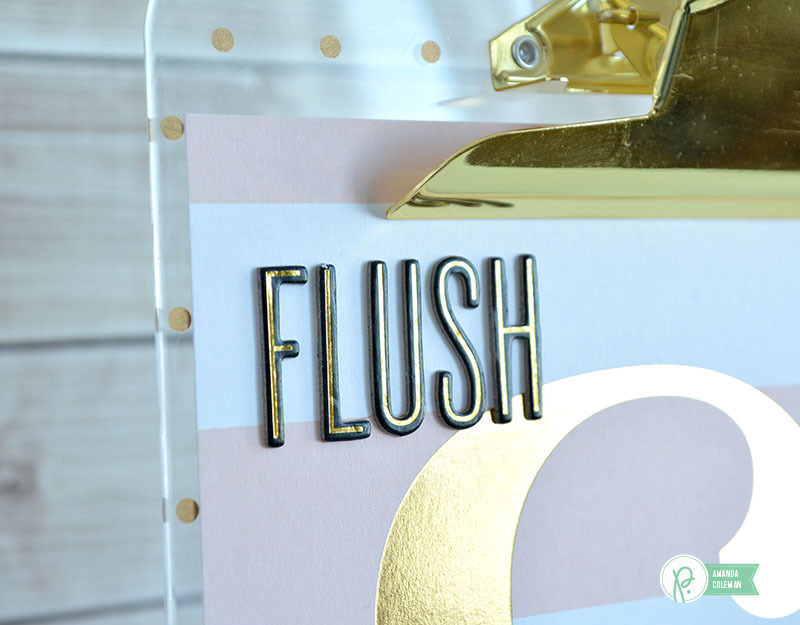 Hoping to give my vocal cords some respite, I’ll hang this clipboard in the bathroom and hope, perhaps by some miracle, that the message will sink in and I’ll soon have independent flushers. 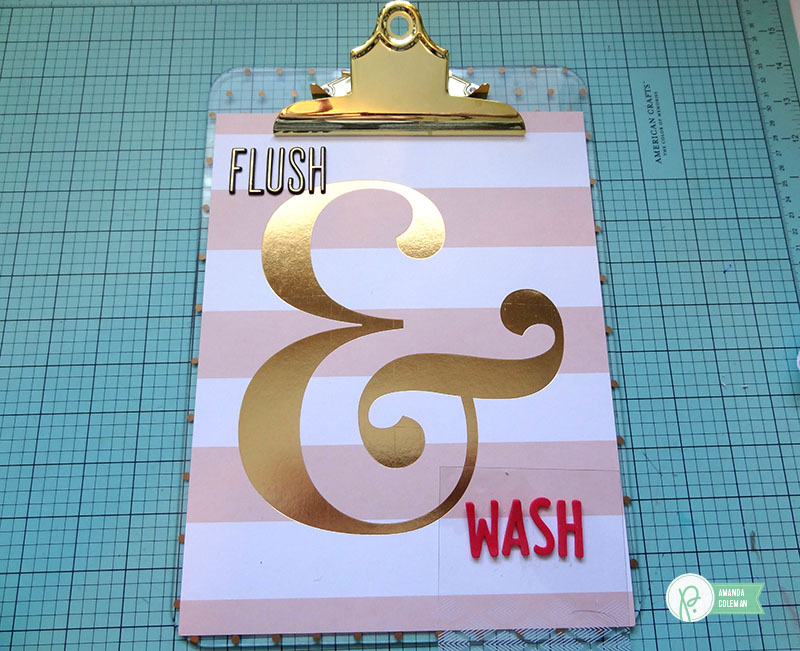 Gold dots, gold ampersand, gold clip, gold letters. So much shiny gold! 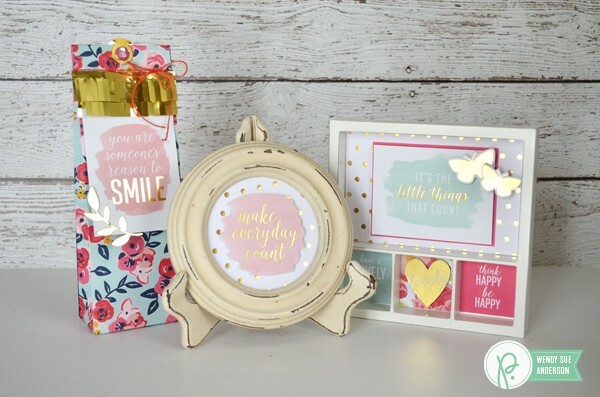 Create custom phrases and artwork by modifying pre-printed gallery wall art with Thickers or other embellishments. 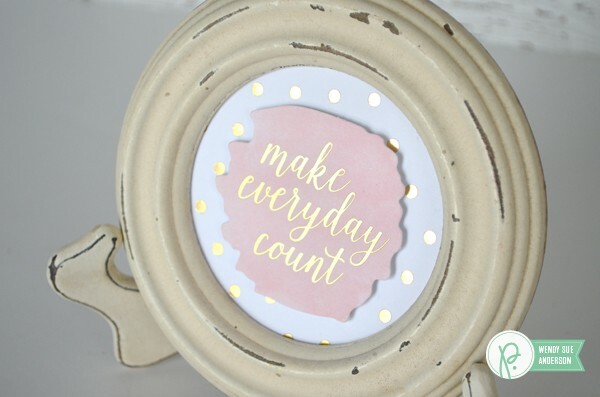 Hang them with a pretty gold clipboard and you have instant trendy art. 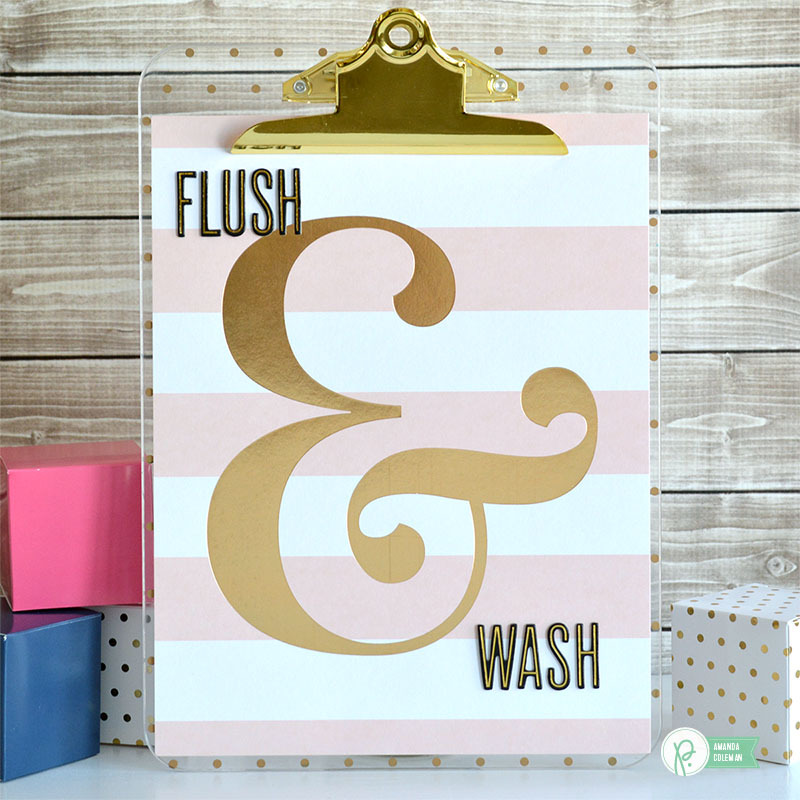 You could use the big, gold foil ampersand to create a number of fun phrases: you & me, love & laugh, friends & family, hearth & home, etc., etc. Wait! Don’t put your Tickers on just yet! 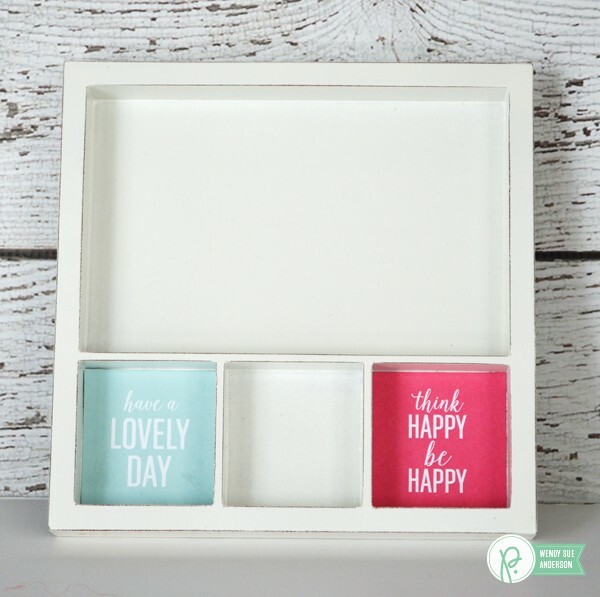 Experiment with the placement of your Thickers by lightly placing them on an acetate sheet or photo overlay. Move the overlay around until you find the placement you like best, then remove your Thickers and place directly on your project. 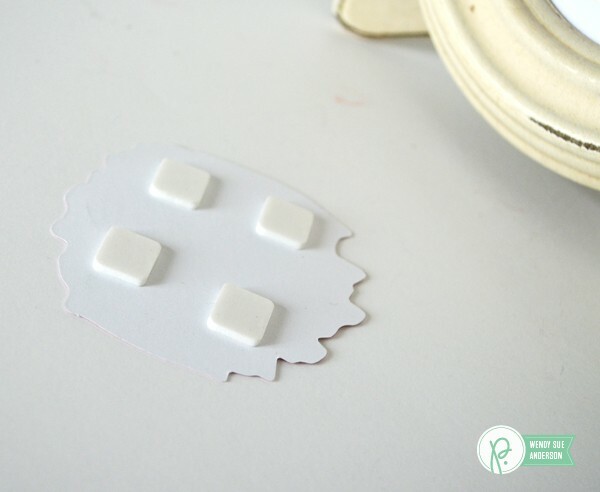 BONUS TIP: You can also unstick your Thickers with baby powder and then adhere them with adhesive. 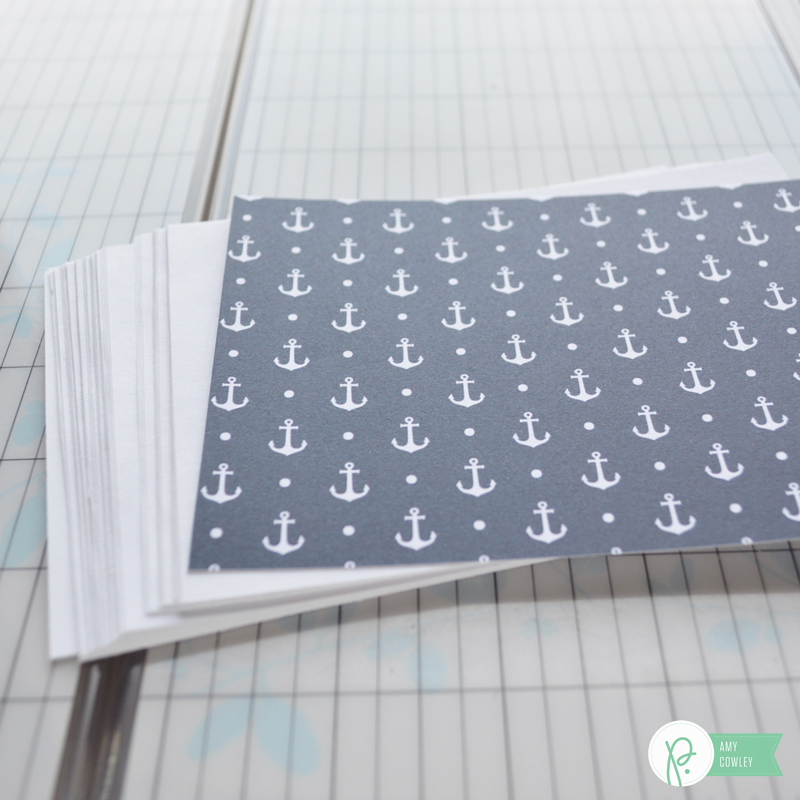 You can also use the acetate sheets to experiment with different kinds of Thickers without having to commit. I experimented with these dark pink foam Thickers, but decided I liked the black and gold better. 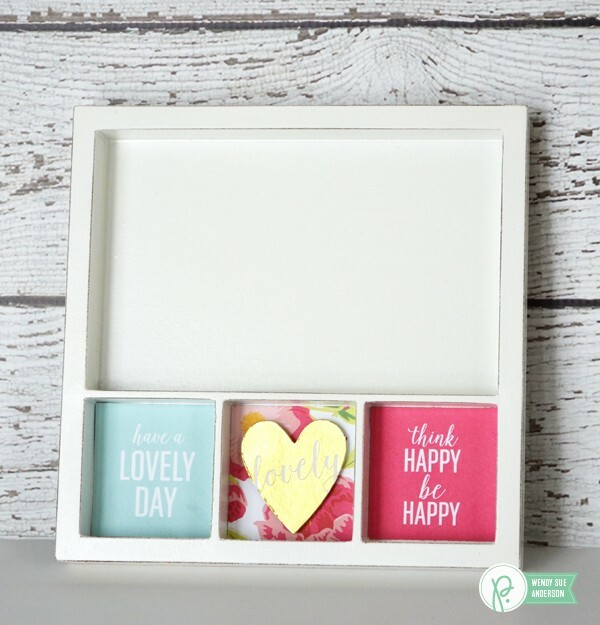 This frame took all of 5 minutes to create – and that included the time I took to scrounge up the frame! 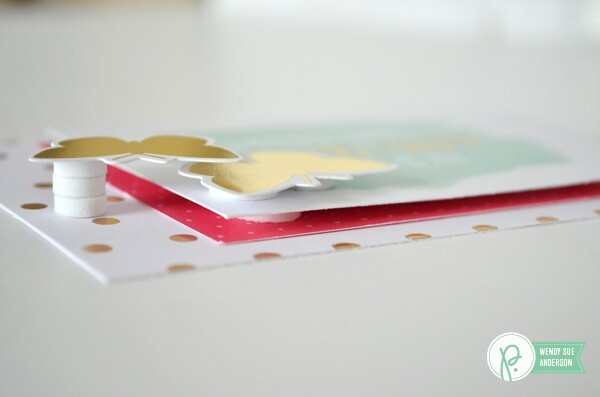 Simply cut a piece of patterned paper – I chose this beautiful foiled polkadot paper – to fill the frame opening. Then I added some foam adhesive to the back of a pre-printed diecut. Voila – that’s it! 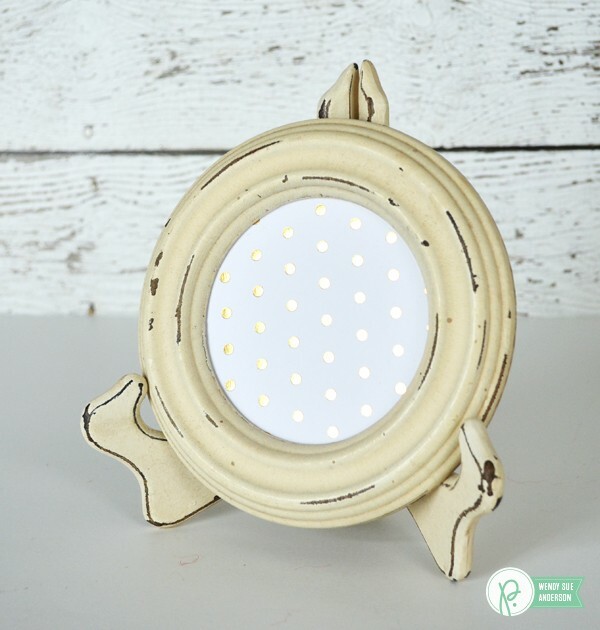 I am excited to share this with someone – wouldn’t it look sweet sitting on a nightstand or a shelf in a little girl’s room? This frame took a little bit longer – but not much! I found this collage frame in my stash and thought it would be perfect to fill with inspiring words! The two little quotes were cut from the “Happy Thoughts” paper. 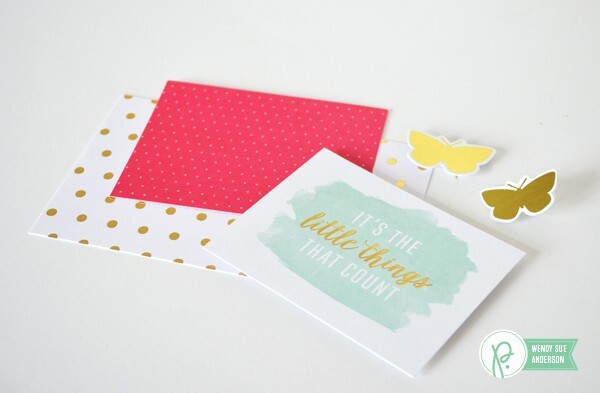 The middle square is a small piece of patterned paper with a foiled heart die-cut added with foam adhesive. Next I cut a few miscellaneous patterned papers, a quote block, and some foiled diecuts for the main opening. Don’t be afraid to stack up foam adhesive for extra dimension. And the final product is so cute and ready to be shared with someone special. 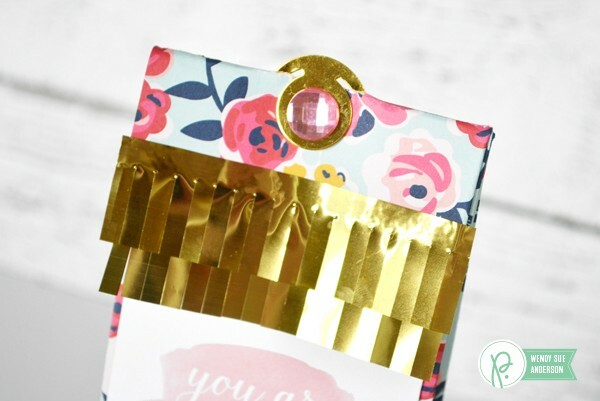 And the final project isn’t an actual gift, but a quick and pretty gift bag. 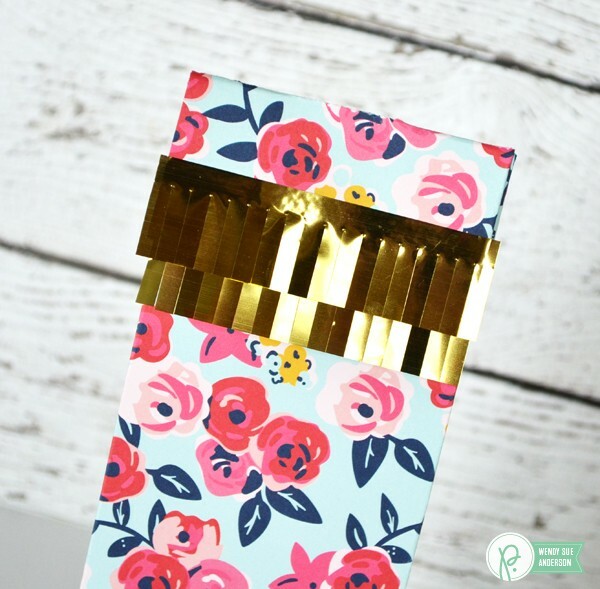 I used the Gift Bag Punch Board from We R Memory Keepers to make the bag from pretty patterned paper. 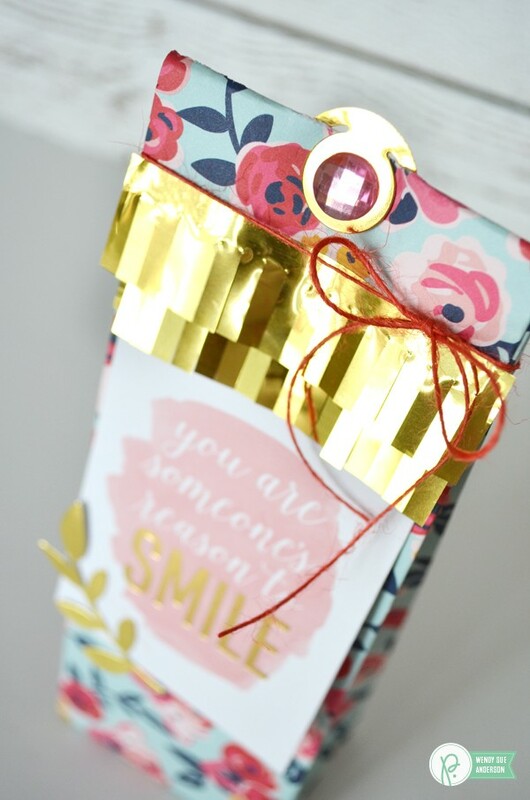 Next, I added some leftover fringe tape from a pinata I made earlier – isn’t it pretty?!? It already has adhesive on the back, so I just had to fold over the bag top and add two layers of fringe. 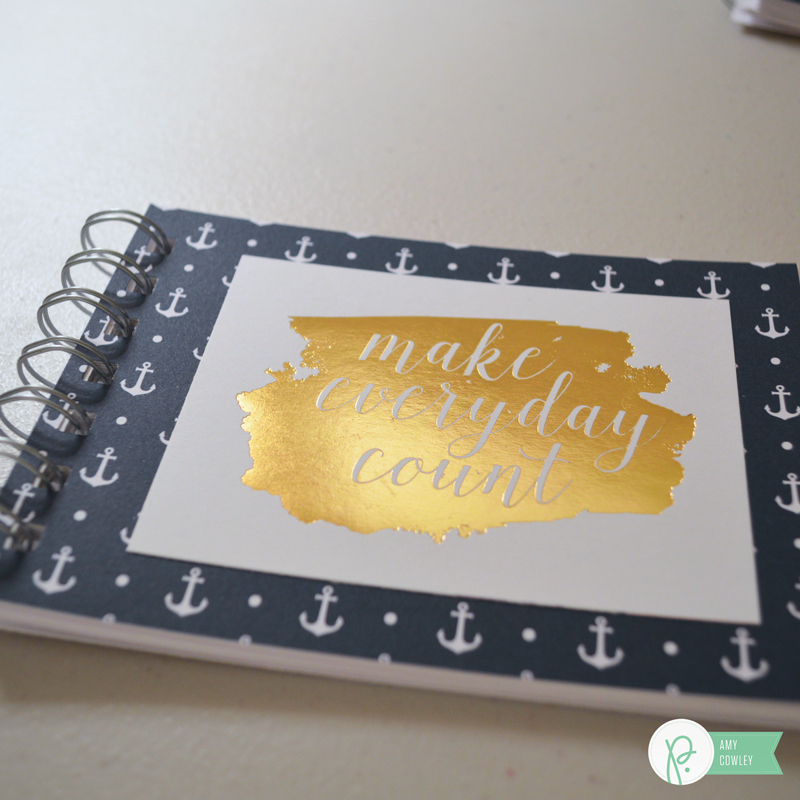 After cutting the cute quote block from the foiled quotes page, I added a gold leaf diecut to the corner. Then I tucked it under the flap. I added the gold clip, embellished with a pink jewel, to the top of the bag to hold it closed. And a quick little jute bow completes the gift bag – ready to fill with chocolate (another powerful healer, in addition to words) or a small token of some sort. 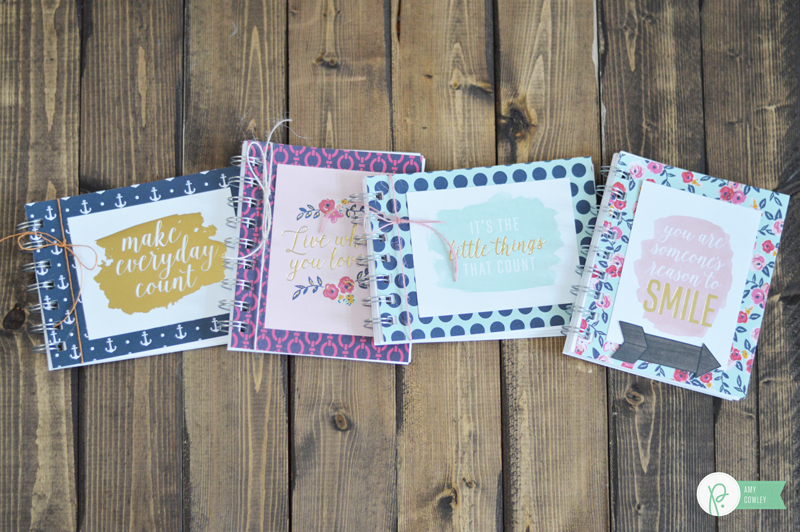 I hope you like my little gifts, inspired by the beautiful words in this gorgeous collection! Hello everyone! 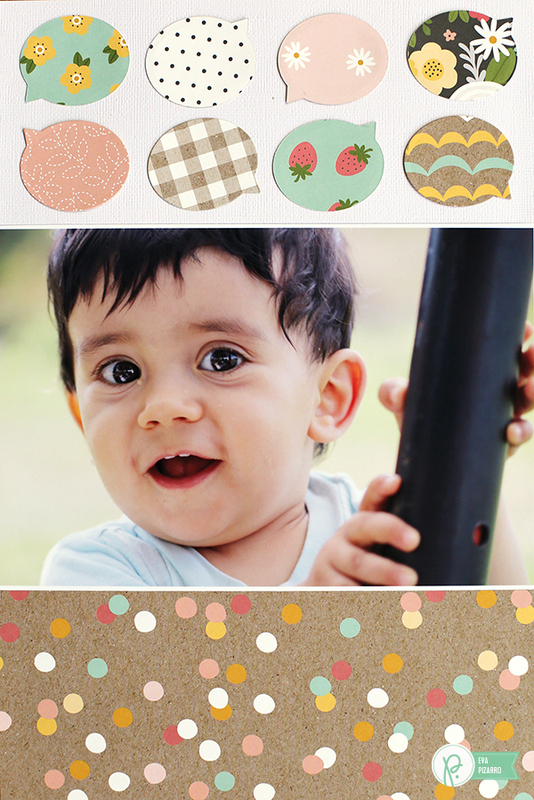 Eva Pizarro here showing you a step-by-step tutorial to create a fun and easy layout. 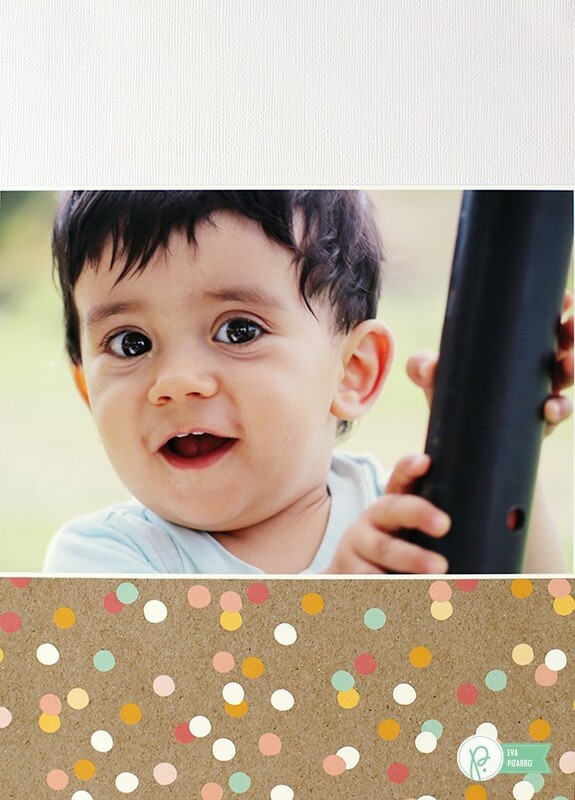 Whenever I think about my favorite phrases, I immediately remember all the silly things my little one-year-old says. He is learning Italian and Spanish so I think he sometimes gets really confused! He is 13 months but can say “mum” and “dad”. I did this layout to remember all the funny noises he says trying to explain what he wants. 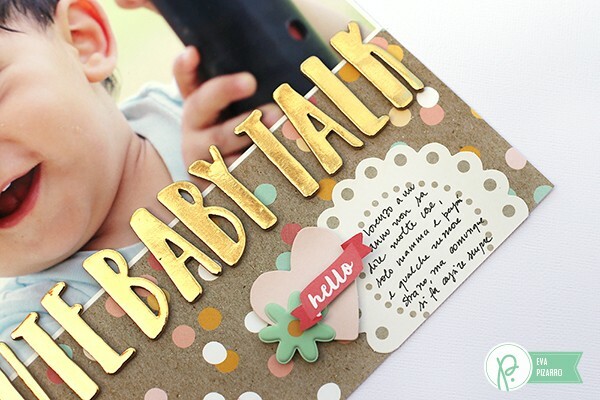 To make this layout, first use your Home+Made die to cut several speech bubbles. 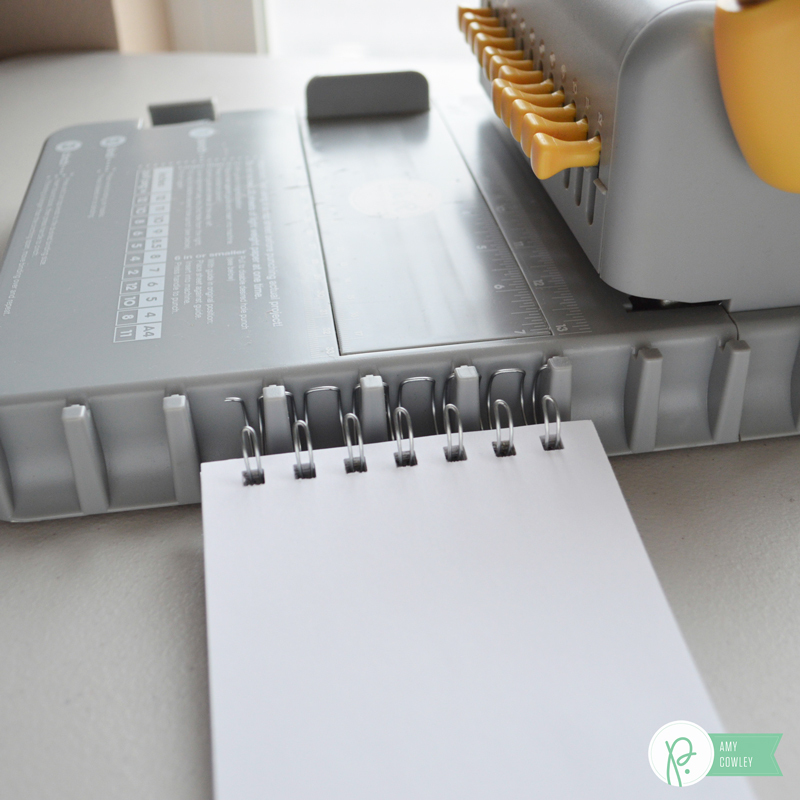 Remember to turn your paper over so the little arrows are facing different directions. 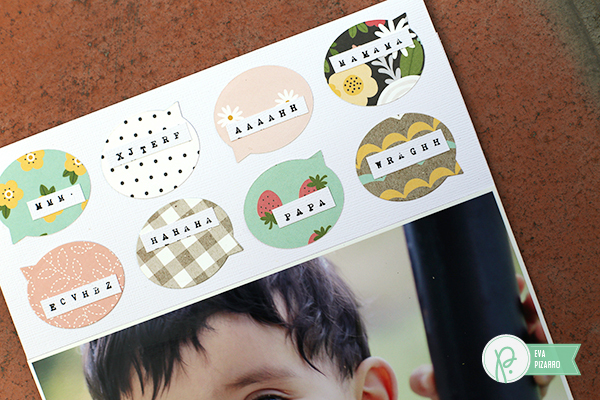 I used the Spring Fling collection for these speech bubbles because I love the subtle mix of colors. They are perfect for a baby! 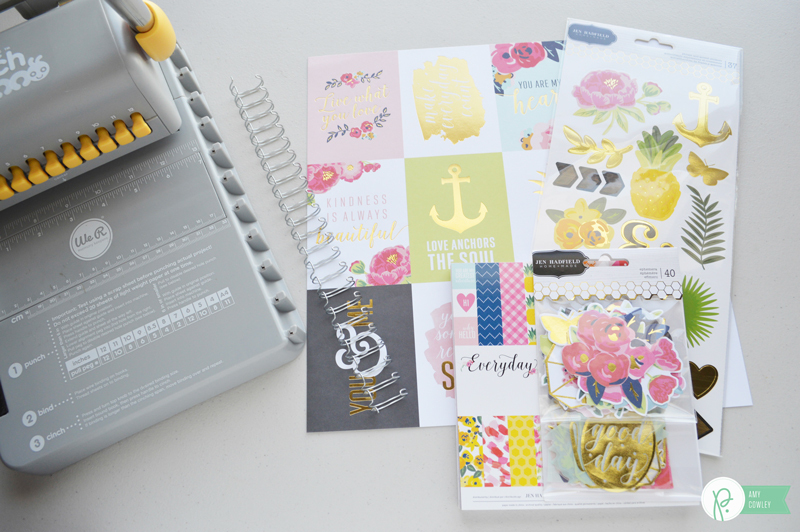 Glue your photo to your layout and cover the base of your page with some patterned paper. 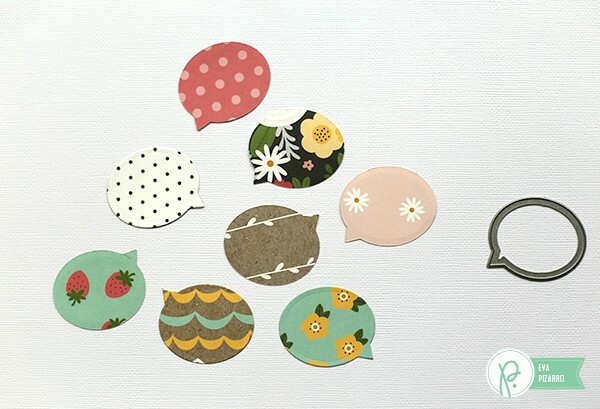 Place your speech bubbles on top with the arrows pointing in different directions. 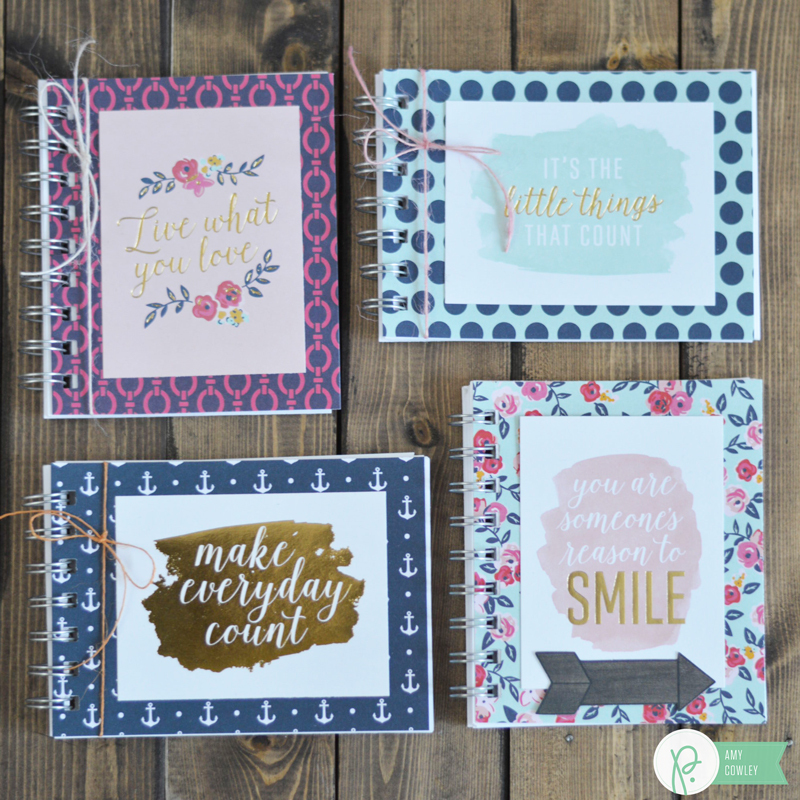 With your BIG roller stamp from the From Me To You collection stamp all your phrases (or in my case sounds). 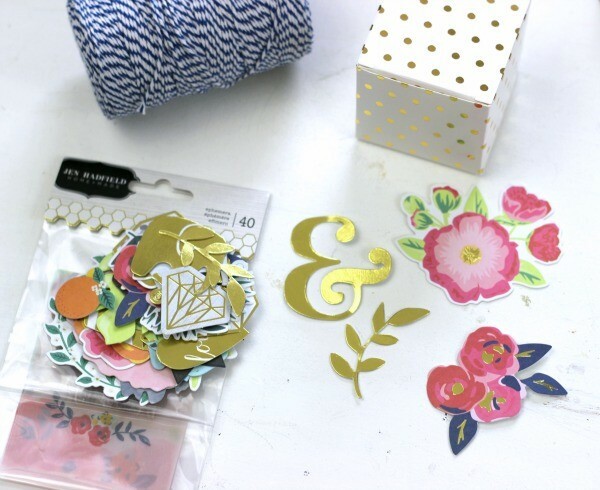 Embellish and add your title. 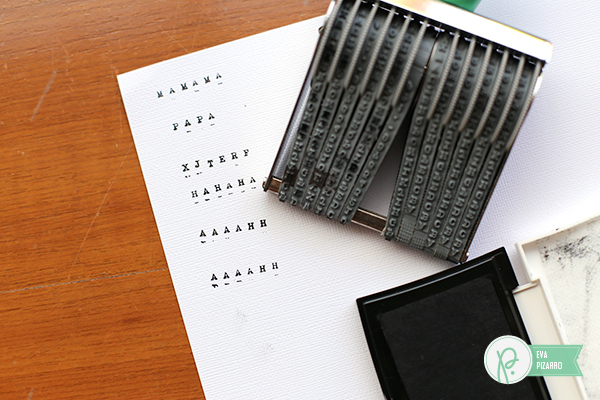 How cute are those big chunky letters? I decided to put a big title covering the entire page width. 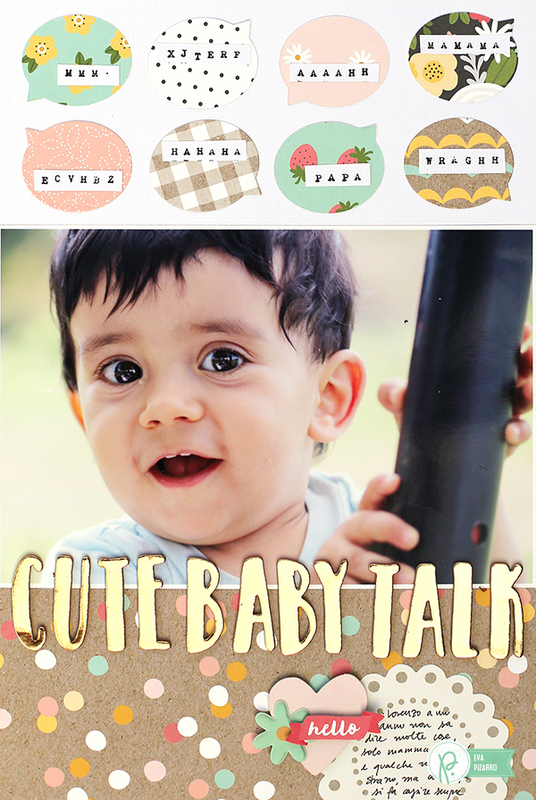 And here are the speech bubbles with my baby’s sounds. Did you like the Spring Fling collection? It is perfect for weddings, parties and other celebrations. 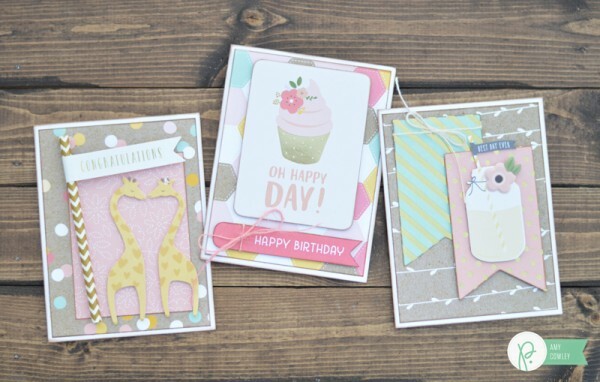 Did you see these cute cards by Amy? I guess she and I are just in love with the Spring Fling collection! How about you? Hi Pebbles Fans! 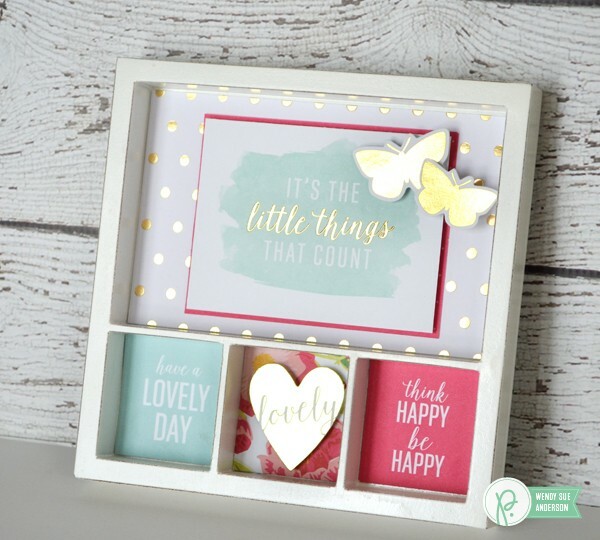 Holly here from Ribbons & Glue sharing with you an Everyday Treat Box made with the new Everyday collection by Jen Hadfield. 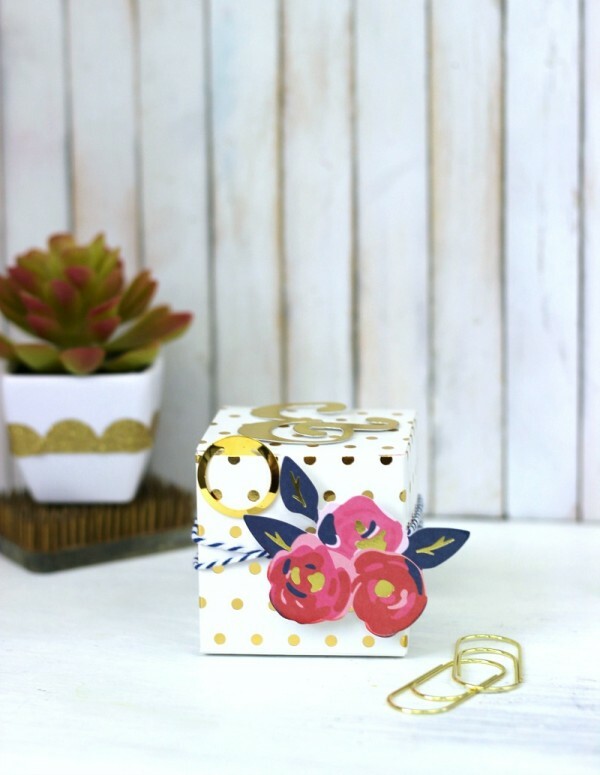 These little pre-made foiled gift boxes are just the cutest size and perfect to have handy when you’re in need of a quick gift. 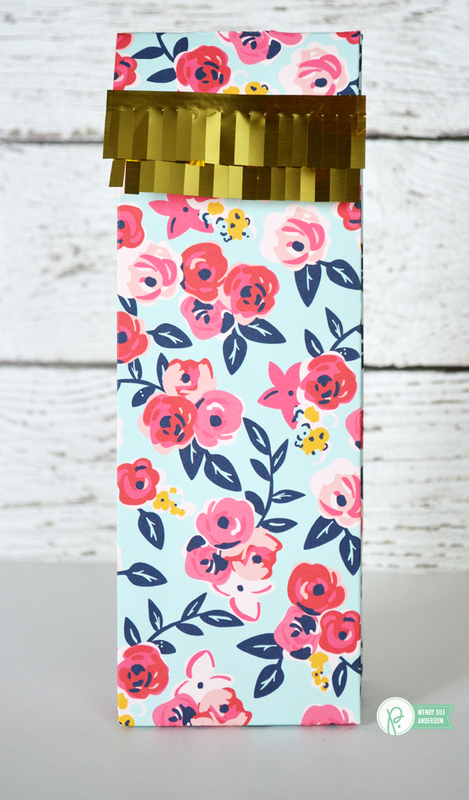 Now that Valentine’s is over, you may still want to send some Hugs & Kisses to a friend without the chocolate and candy and these gift boxes are perfect to do just that. The hardest part about assembling the box was choosing which design to use. They’re all adorable! 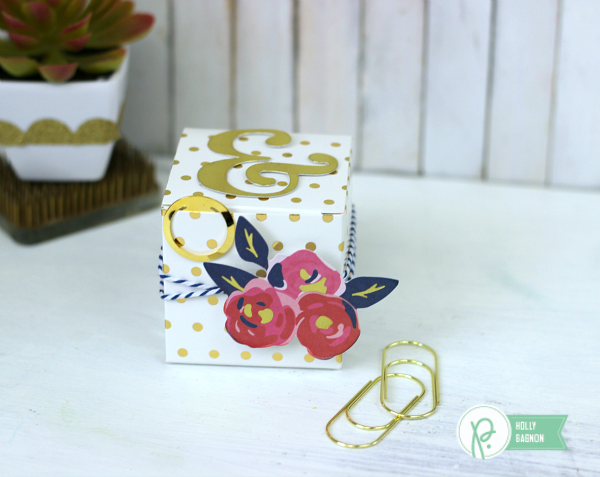 I embellished the outside of the box with Ephemera Shapes, twine and a gold metal clip. 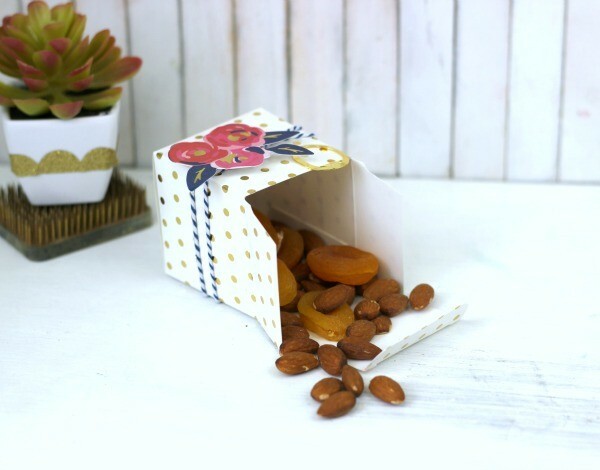 Since Valentine’s Day is over, I decided to fill the Everyday Treat Box up with almonds and dried apricots. 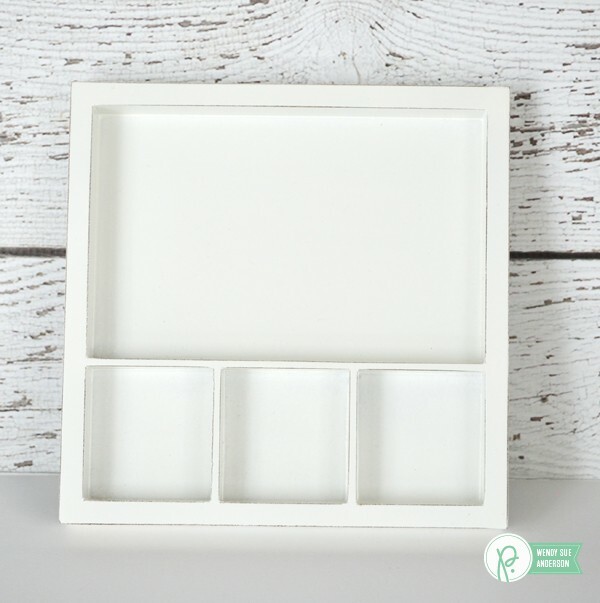 I hope this Everyday Treat Box inspires you to create something beautiful and simple with the Everyday collection by Jen Hadfield.